IT’S MARVELOUS MIDDLE GRADE MONDAY! The seventh and final book in the Charlie Bumpers series has arrived. Charlie’s journey began just as he was entering fourth grade and now it comes to a fitting conclusion at the end of his challenging year. Of course best friends, Hector and Tommy, are at his side, but Charlie is a kid who always finds trouble or trouble finds him. Hector is getting bullied by a trio of fifth grade boys, leaving Charlie with some difficult choices. He then discovers Hector is moving back to Chile at the end of the year and he can’t let that happen. He and Tommy come up with a plan to keep Hector from moving and the bullies from bullying. Neither plan is very solid. Charlie’s family always gives strong support. A loving Mom and Dad (yes, there are occasional two parent families in MG without a hint of divorce), a first grade sister and an older brother. If you don’t know the family yet, you’ll have no problem starting with this last book. The story is perfect for the emerging MG reader. Short chapters and fun illustrations keep the 200 plus pages moving by quickly. Goodbye Charlie, I’d welcome you back with open arms when fifth grade begins. Even a middle school series would make your fans cheer. I was a little tired of books with Bullies as secondary characters, but Charlie’s kid- like way of dealing with them was reassuring and done right for once. A fitting conclusion comes about in the seventh book and a fourth grade year. Elementary students either in or approaching this milestone will appreciate the subtle pat on the back that everything will be all right. Word play is always fun as Charlie and friends combine familiar words into new ones. Like Disaster and Catastrophe become Disastrophe. The well-done illustrations nicely balanced the text and didn’t overwhelm. This is one of those books you can’t wait to get into the hands of the targeted audience. Mom opened the door and looked down on us. “Tell me you weren’t jumping on the bed,” she said. “We weren’t jumping on the bed,” I said. She gave us the evil-mom stare and closed the door on us. If she caught us jumping on the bed one more time, I might be banished from my own bedroom. But I was too busy thinking about my brilliant idea to worry about that. Charlie is cooking up some wacky plans to keep his friend Hector from returning to Chile, but when he learns that some classmates are bullying Hector, he turns all his energy to solving that problem. When Charlie learns that Hector’s family is moving back to Chile at the end of the year, he is crushed. With Tommy’s help, he immediately starts cooking up schemes to keep Hector here, including a campaign to get him selected as next year’s School Ambassador. (Surely Hector will have to stay, Charlie reasons, if he has such an important job.) As usual, Charlie’s schemes lead to one near-disaster after another. A two-time Grammy winner, he is vibrant, outrageous, unpredictable and genuine with songs and stories about growing up, schooling and what it is to be human—our connections with one another and with the planet we share. Best known for his work with children and families, his ability to navigate through a confusing world with humor and wisdom is evident in his masterful storytelling, singing, recordings and books. If you have time, please comment below. This entry was posted in Middle Grade Book Reviews and tagged Bill Harley, Charlie Bumpers Vs. 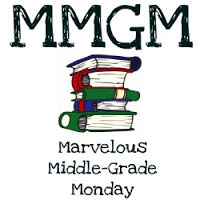 The end of the Year, Marvelous Middle Grade Monday, Middle Grade Book Reviews. Bookmark the permalink. Glad this was a good conclusion to the series. It’s hard to maintain the momentum over seven books. I haven’t read any of this series, but I think I will have to find one and the time to read it. This sounds like a lot of fun. I love the ideas kids that age come up with to solve problems. They do think outside the box. Thanks for the review. This sounds like a fun book. Charlie sounds like a great character! Thanks for the review. I like the idea of a bystander who rallies other to help with dealing with a bully. This sounds like a great series. Wow! How impressive that the author was able to sustain the series so well over the space of seven books. That’s great! Love the lines you quote; very kid-like. My younger son is just finishing his 4th grade year, so we’ll have to look for this one. Thanks for your review! Oh I know this will be perfect for some of my students. Love that the chapters are shorter too. Sounds like a great series. Thanks for sharing.